This article is not geared towards companies that already have effective direct mail businesses because they do not need the advice. A lot of people still enter into this type of marketing on a daily basis because it is a fun concept and it is very profitable. There are magnitudes more people choosing the internet because everything is so much easier. Even old-timers in DM have migrated to the web, but they still retain their direct marketing business operations. All they’re really doing is expanding and taking advantage of what the net offers. So, if you see something about direct mail marketing that you like, then don’t just sit back, utilize it for your business. You, of course, want to get a high conversion rate on all the direct mail you send out. But your impressions (viewings) are also important and should not be ignored. While you may NOT “convert” a sale or generate a phone call to your business on the spot, having your name in front of a possible client may very WELL lead to a call next month. If not then, maybe the following month. Having your company name in front of a client and in their mind is NEVER a bad thing. That said, in this case, impressions mean the number of people who see your offer and don’t act on it. Exposure to your offer matters for brand awareness and contributing to warming up the prospect. This is why you want to send the same offer multiple times to the same people. It takes at least a few tries for most people to convert, whether that means buying or something else. Direct mailings should not be a one-time shot and then moving on to another list or offer. You might find that it is too difficult to find the right mailing lists. You will learn that finding good companies like CarolinaDirectMail.com that are willing to help you find these lists will not be a problem. Or, browse the SRDS to get the targeted audience that you want. Not only is this service great for what you need, but it has been providing great services for decades before the internet was available. There are certain things that you want to consider when it comes to your list. For example, think about the age of your list and if you can rely on a much older list. But, ensure that it is a list that works well with your business. Many companies focus on specific towns and cities. The great thing about that kind of locally focused company is the knowledge that they bring to the table and experience directly in that market area. There are companies focusing on Raleigh NC, Charlotte NC and others in our home state of North Carolina. There are many great local companies that can work with companies interested in getting the most effective coverage in any market. 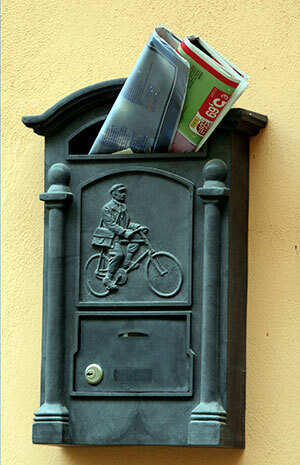 Direct mail campaigns can help you to make it overnight. But what people don’t know is they put a lot of work into it before being an overnight success. The first thing you need to realize is that your campaigns need to be optimized when doing direct mail. If you can get more than 1% on your conversion rates, that’s high! But this will only occur when you test a competent manner. Using multiple mail outs is necessary because most people have to see your offer five or more times before they buy. Overcoming resistance, and developing your brand, is what you will achieve. You can get a lot of wrong impressions, and make bad decisions and conclusions, looking at direct mail from an outside perspective. Too many people rush in with little to no knowledge, try to do it themselves, and then when that fails miserably, blame the direct mail model. This is not about approaching unsuspecting victims, sending them mail that they do not want or need. There are different goals you can reach, all of which serve a unique purpose in any business. Copywriters are often criticized for writing direct mail pieces, which is actually funny if you think about it. Every copywriter on the net uses these principles and techniques, regardless of the business model. Educating yourself before plunging into this historically successful marketing method is what you must do before you invest your time and money.